Brazos offers the ability for you to refinance your federal and private student loans and parent PLUS loans. They also offer the ability to add a cosigner. Brazos offers the ability for their users to consolidate their federal and private student loans into one manageable student loan. Brazos offers a quick, online application. Ability to get pre-approved within minutes all with no origination fees or prepayment penalties. Brazos Education Lending Corporation (“Brazos”) is a non-profit student loan refinancing company based in the wonderful state of Texas. They have a focus on student loan refinancing as well as parent PLUS refinancing. Brazos is managed by Brazos Higher Education, a non-profit corporation that has managed a group of Texas non-profit corporations (the “Brazos Managed Companies”) dedicated to student loans for nearly 40 years. Under Brazos Higher Education’s management, the Brazos Managed Companies, as a whole, have an incredible track record boasting some impressive numbers. Over the years the Brazos Managed Companies have assisted well over 2 million students equaling over $30 billion in student loans. One thing that separates Brazos from some of our other lenders is that they only work with students who are located in the state of Texas. 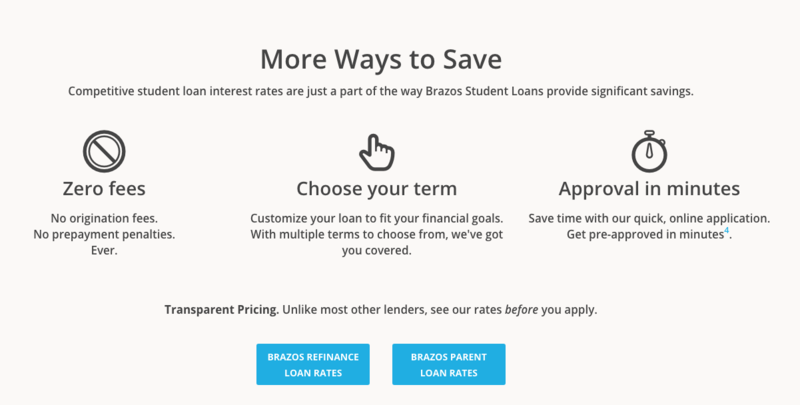 Brazos has a focus on helping you get a lower interest rate for your student loans and they deliver. Currently, Brazos is offering refinancing offers in the mid 2% range. These are compelling numbers and something to consider when looking to refinance your loans. 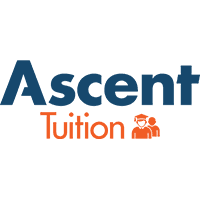 They offer some of the longest terms in the space allowing you to take up to 20 years to pay back your student loans for qualified applicants. With no fees of any kind, including no origination fees and no prepayment penalties, you can see why Brazos is one of the top lenders in the space. With students in mind, Brazos makes it extremely simple and their online application process takes just minutes to find out if you have been pre-approved. 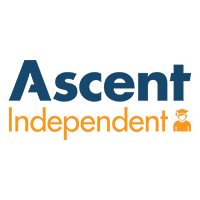 They offer you the ability to sign with a co-signer and also provide options for you to consolidate your student loans into one more manageable student loan. You deserve a better student loan partner, and Brazos is a clear winner in the space. 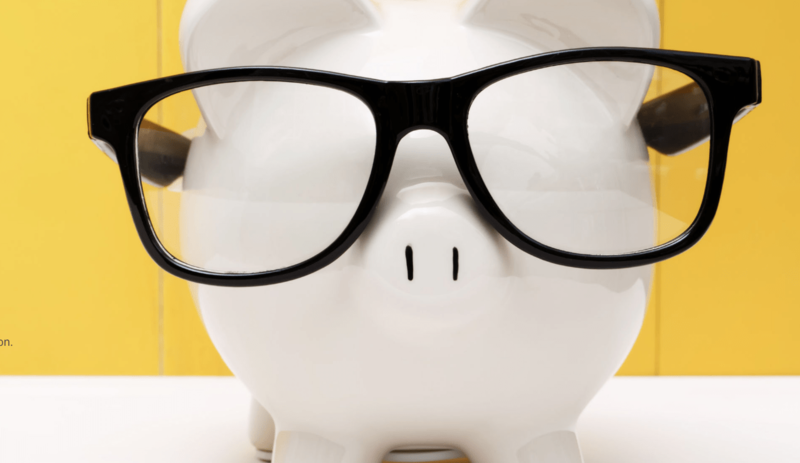 See what refinancing or consolidating your student loans with Brazos can do for you. Refinance your student loans with Brazos today. 5, 7, 10, 15, 20 years. Disclosure. Rates from 3.02% to 6.47% APR (with automatic payment). Rates from 3.15% to 6.35% APR (with automatic payment).